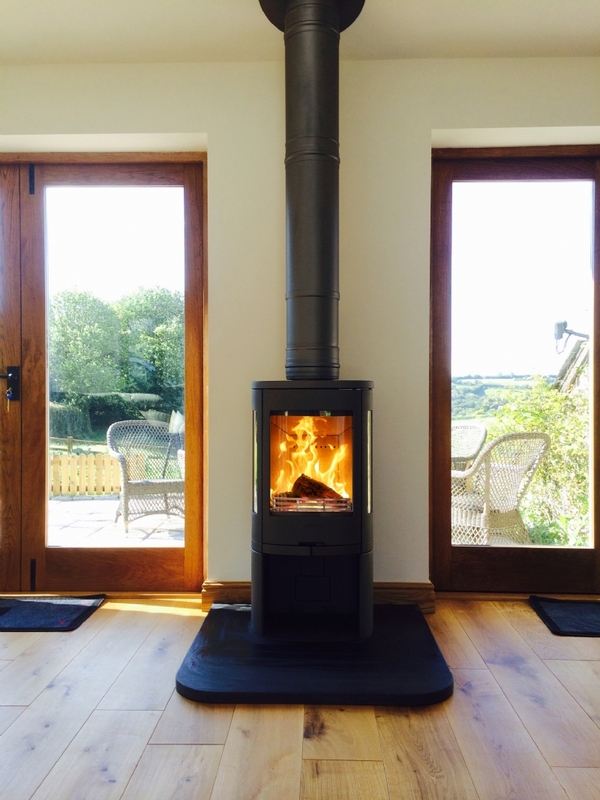 Contura 850 between two doors wood burning stove installation from Kernow Fires. 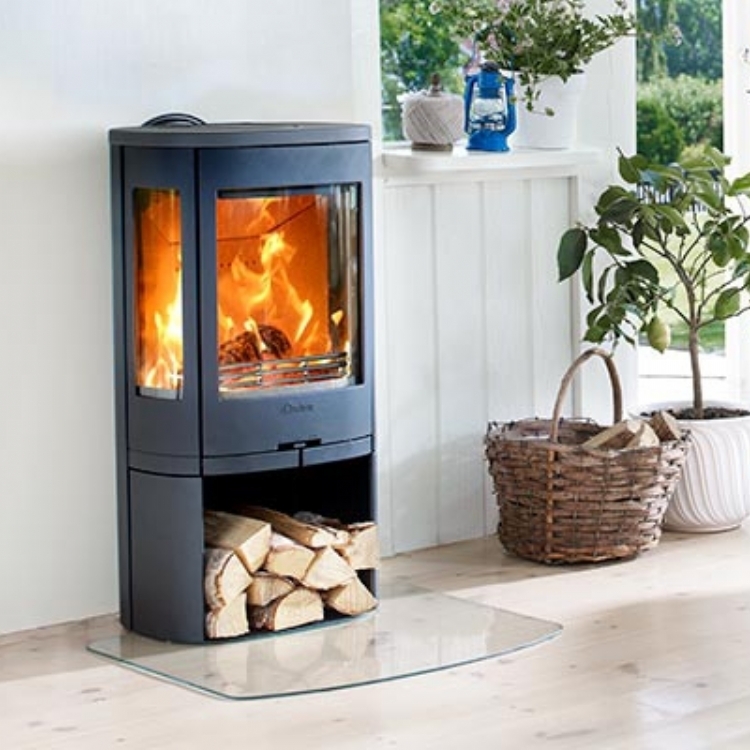 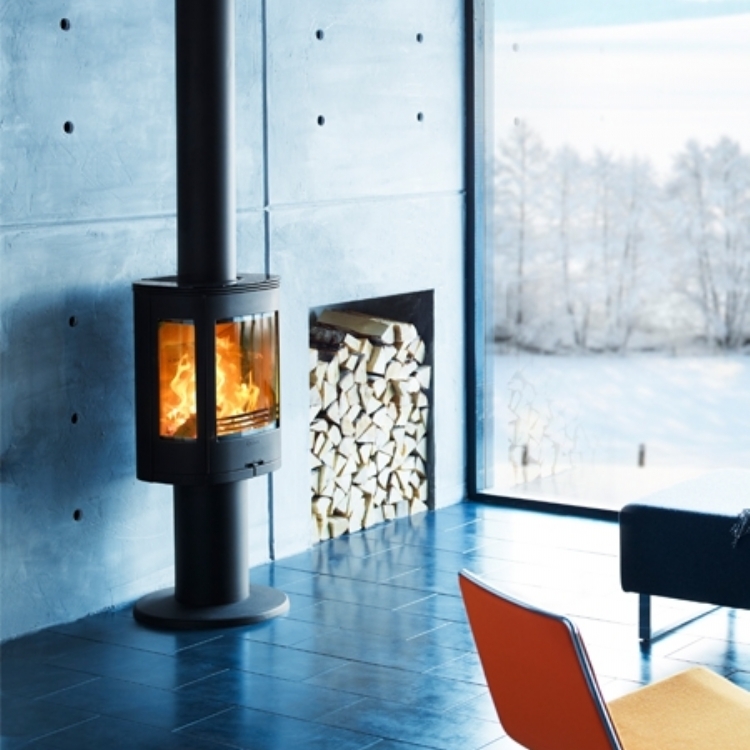 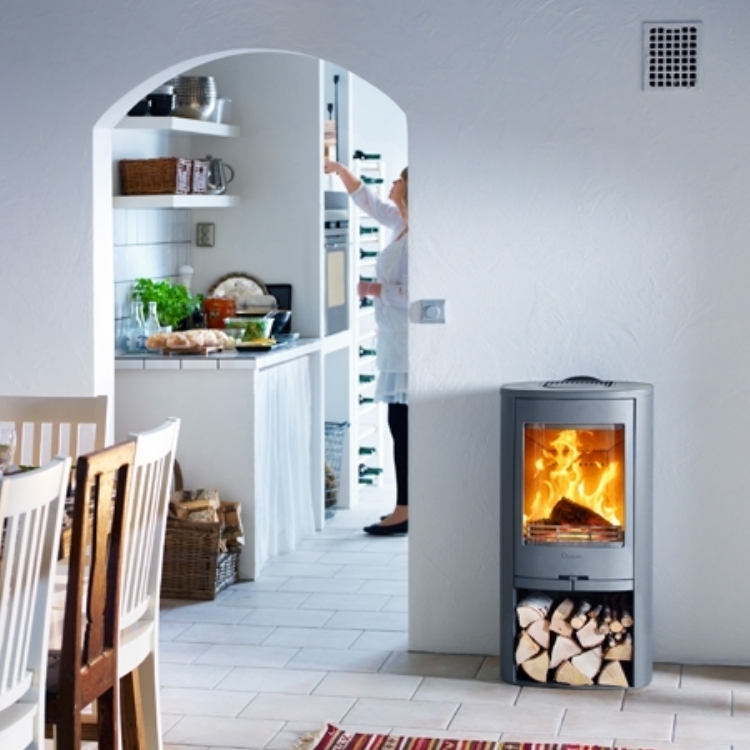 The Contura 850 is a tall slim wood burner and the side windows mirror the two large doors either side of this fireplace. 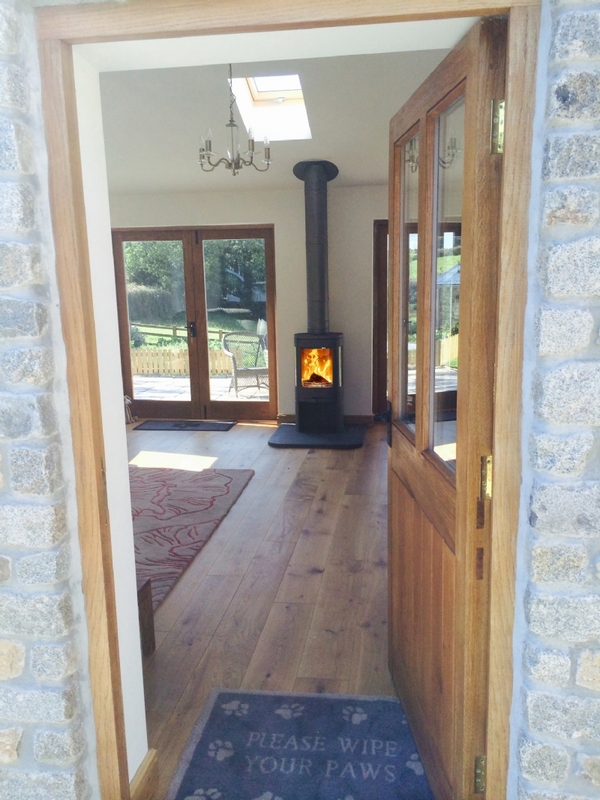 The honed slate hearth was made to order and the chimney was created using twin wall flue.